Kirk Kurokawa. 'Me and My Homies,' 2014. Oil on board. Allyn Bromley. 'Richard,' 2014. Screenprint, drawing. 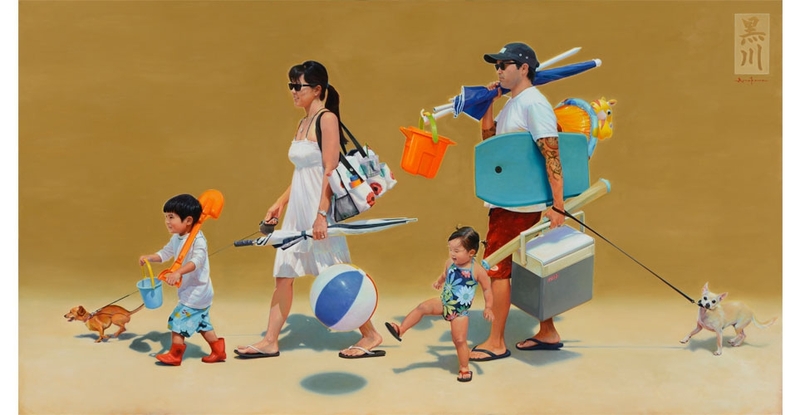 The Schaefer Portrait Challenge, a juried triennial open to residents of Hawai‘i, always pushes the boundaries of portraiture. 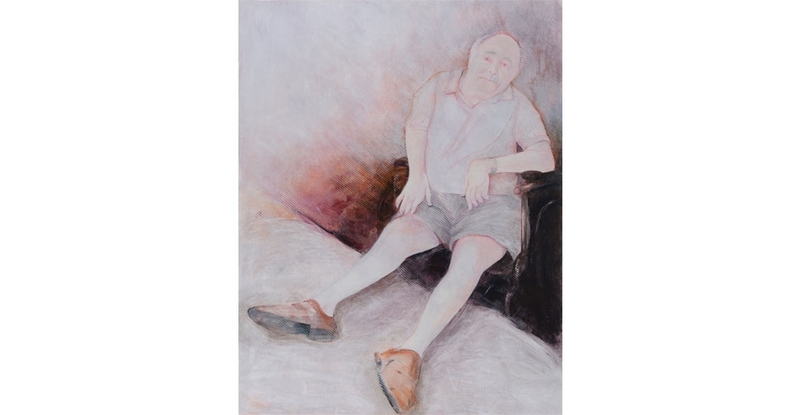 The fifth challenge features 55 portrait or self-portrait works by 54 artists from across the state selected by jurors Esther Shimazu of O‘ahu, Keith Tallett of Hawai‘i Island, and Sidney Yee of Maui. In addition to Maui, the jurors visited O‘ahu, Kaua‘i and Hawai‘i Island to select the final portraits from hundreds of entries. The works represent a wide variety of media and methods including paint, pastel, graphite, watercolor, stone, clay, wood, and mixed media. The jurors looked for confidence in an applied fine art technique, the artist’s ability to convey the likeness or intent, and the ability of the artist to move the viewer emotionally or psychologically, beyond illustration or photographic representations. The exhibition also grants two prestigious awards—this year the $15,000 Jurors Choice Award went to Allyn Bromley, and the $5,000 Marian Freeman People’s Choice Award went to Kirk Kurokawa. Participating artists include: Ilana Moidel Acevedo, Rose Adare, Taryn Alessandro, Anita Bisquera, Nitya Brighenti, Tobias Brill, Allyn Bromley, Chris Campbell, Mike Carroll, Christine Chouinard, Jacqueline Moore Chun, Peter Shepard Cole, Ingrid Frégeau, Sally French, Lynne Garzino, Roberta Griffith, Dennis Holzer, Kathleen Kastles, Verdine Kong, Kirk Kurokawa, Chenta Laury, Gini Lawson, Max Lemaire, Lynn Weiler Liverton, Robert Lober, Jody M. Lovins, Deb Lynch, Charlie Lyon, Mark Maresca, Pat Masumoto, Albert Matichev, William Patrick McKnight, Casey McLain, Jacob Arthur Medina, Mark Feijão Milligan II, Gerald Murai, Mydock, Penny Nichols, Joseph Okonek, Darrell Orwig, Colin Ota, Valentino Quijano, Noble Richardson, Hans Riecke, Robena, Karin Rohr, Robert Suzuki, Jimmy Tablante, Michael Takemoto, Tom Z. G. Tong, Albert Weight, Atsumi Yamamoto, Paul F. Yount, and William Zwick. This exhibition was organized by the Maui Arts & Cultural Center and generously supported by Gage Schubert and Jack and Carolyn Schaefer Gray, with additional funding from the Hawaiʻi Tourism Authority, and County of Maui, Office of Economic Development.